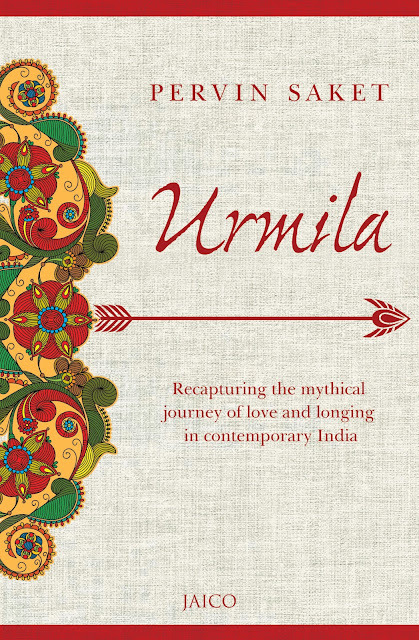 ‘Urmila’ is a contemporary take on a woman’s inner journey and the physical experience of a loveless marriage, where her spouse is more devoted to his sibling. The author has maintained a fine balance between delicacy and boldness in her crafting of the protagonists and the situations they undergo. More importantly, she has balanced it out in a way that even strong willed believers are not likely to call this a ‘blasphemous’ novel. The creative camouflage is brilliant. Urmila’s strong willed personality shines throughout the book. How can we imagine Urmila’s life without the proverbial ‘Sita’? We are introduced to her cousin, Vani. Like every Indian girl, Urmila approaches marriage with anticipation but her cousin Vani steals the thunder. The family she marries into brings another set of social challenges that she has to tackle. None of this is as daunting as her husband’s indifference to her. Nothing she does pleases her no matter how hard she works in the kitchen. The turning point in Urmila’s life is when her husband leaves her, following the footsteps of his older sibling. Urmila sets off on a path of self-inquiry and in art, she find the ultimate solace. Will Shree return to Urmila? Will they enjoy a happy married life? What about their children? A woman who is abandoned by her husband – how does the society treat her? What social pretences continue to force her to appear and behave like a ‘married’ woman when she’s living single? The characters of Puru, Vani and Shree come to life very briefly, but in a very unconvincing way that deflates a reader’s emotional engagement with them. As a reader, I would have liked to read more about their version of the story. Each version could have added a different layer to the one-sided portrayal of a failed marriage. Excavating the inner journey of a woman who has been treated with indifference by her husband, Urmila brings to life a novel that explores a woman’s right to feel discontent with her married life and to pursue happiness in a separate journey, in the way that she believes is right. Urmila is a book that you MUST read.